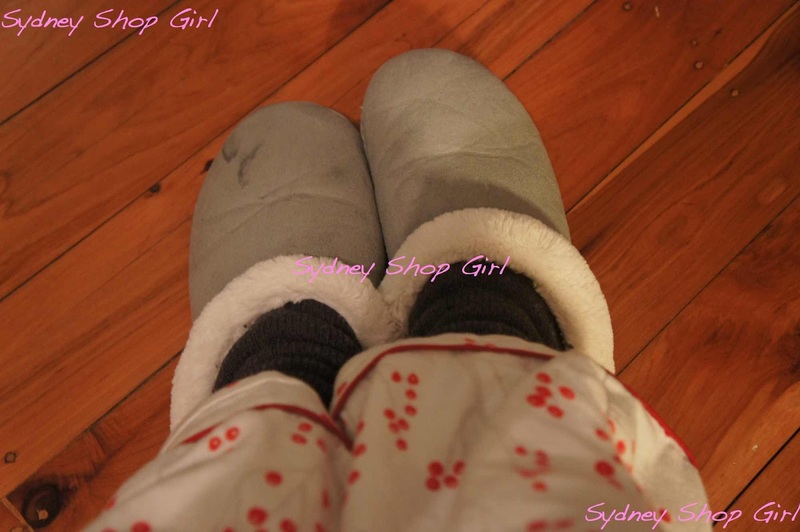 Sydney Shop Girl: Squelching Through the Day. If my feet aren't happy, neither is the rest of me. Shoes that are just a little too tight in the toe, a sock that's wrinkled over the sole of my foot... If I don't feel as close to walking bare foot (but with shoes on) as possible, you're looking at a very long day in my company. Today's footwear fiasco probably wasn't completely surprising given the weather but it was just so annoying it deserved to take up half a blog post. My sensible closed toe flats got completely flooded. While my black opaques clad feet still in them. I wasn't even jumping puddles for fun, I was walking through the road rivers in the car park on my way to work. You just can't get completely comfortable with wet feet. 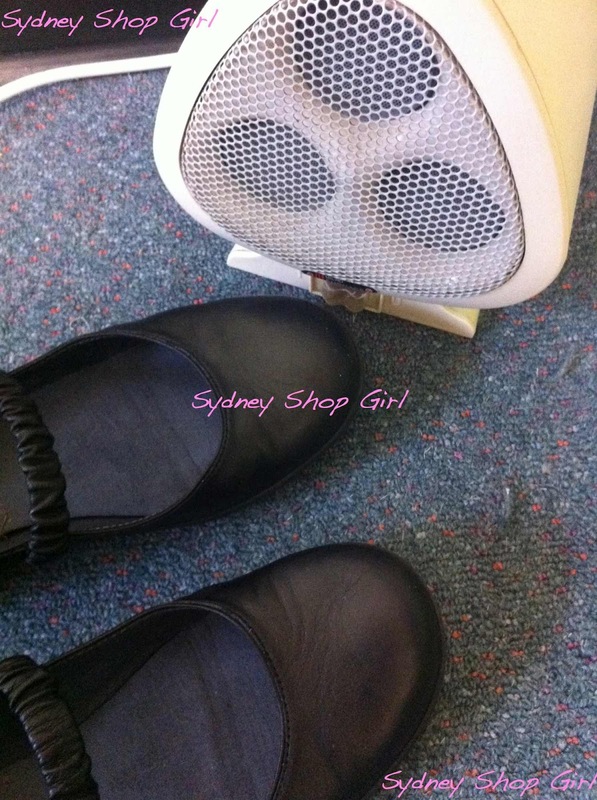 I dried out my shoes in front of a heater whilst I chugged down that eye opening cup of Moccona but that didn't solve with damp tights situation. I squelched for the rest of the day and tried to find ways to sit at my desk with my shoes off for as long as possible. Thankfully, harmony has been restored. I'm home with newly dried feet. I'm covering them up with extra layers just to make sure there's no chance of them ever getting as damp as they did this morning. Knit - Saba, skirt - Veronika Maine, necklace - Red Phoenix Emporium's original Faux Fuchsia necklace. With the first black wool knit wearing of the year comes the knowledge that winter will be upon us very soon. As well as the fact that morning yoga will be replacing morning runs for the foreseeable future. 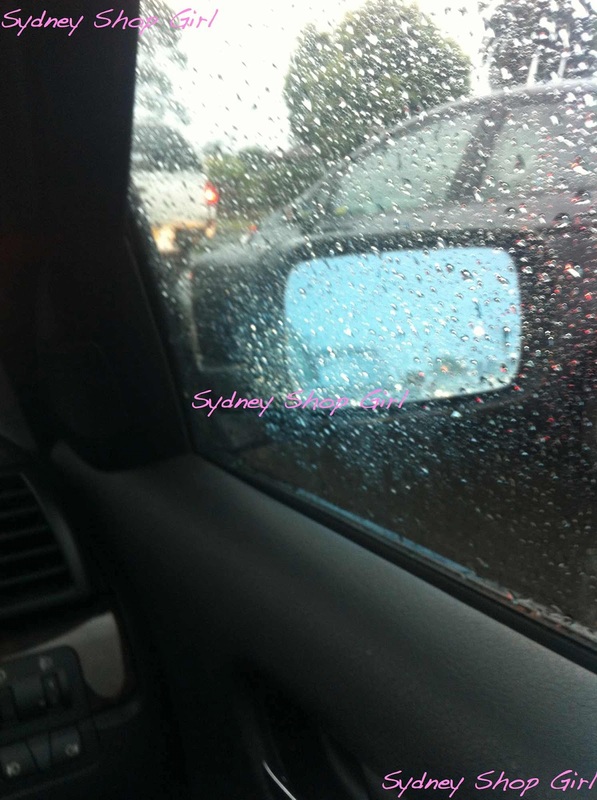 It was also the wettest day in Sydney for the year today. Which I think we all sort of knew. 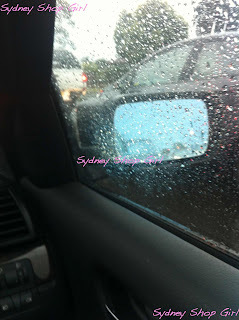 Did you look through a pane of glass that wasn't gleaming with rain drops today? Me neither. 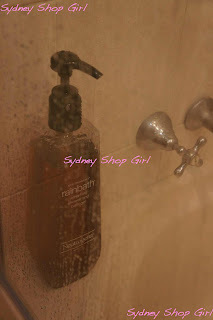 Even when I got home and ended a rainy day with a Neutrogena Rain Bath scented shower. Have you smelled Rain Bath before? It has quite an unexpected fragrance for something inspired by the rain. It's earthy and a little sweet. A bit like the smell of freshly rained upon soil actually. And that's about all the waterlogged news I've got for today. Don't forget to watch Offspring tonight! I am so jealous of your rain. Desperate for it here. I am with you on the wet tight fiasco. I hope you're doing your best to stay warm after being sick. I absolutely despise the rain and am seriously considering buying some gumboots to get through this winter. I hate wet and cold feet. I can't stand it. That's why I don't get girls who wear jeans, sweaters, scarves etc WITH THONGS!!!! I'm with you, hate getting wet feet and having to sit there at work feeling uncomfortable! I'm toying with the idea of getting wellington boots for the walk to the office but I don't know if I would honestly wear them. Nothing quite beats getting your feet into a pair of ugg boots after a long day - particularly a long wet day! It is black opaques all around, winter definitely seems to be here. On the flip side, I love your sensible flats. They look uber comfy. Care to share the make? ah, I hate wet feet!!!! Worst. Sydney weather looks insane at the moment. I hope there's sunshine soon. Loved Offspring :) yay for the return! I really enjoyed this week's episode but so much drama. Poor Nina! Winter has arrived so suddenly but the up side is the food! Thanks for the well wishes, Hannah! Feeling much better.